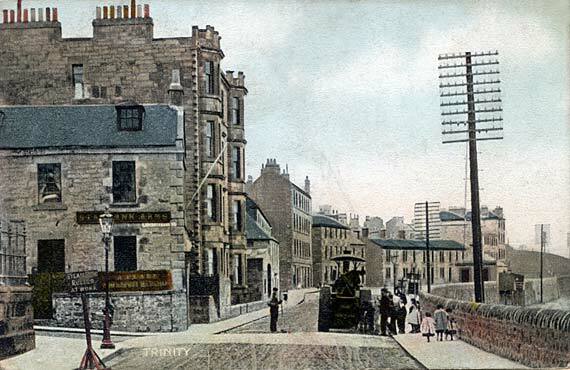 In the views above, The Starbank Inn is in the foreground on the left. On the right, immediately behind the nearest telegraph pole (or behind the nearest lamp post in the recent photo) is the Old Chain Pier, overhanging the Firth of Forth. Donald Grant sent me his recollections of drinking in the Old Chain Pier. in the 1970s. He then mentioned the bar along the road - The Starbank. 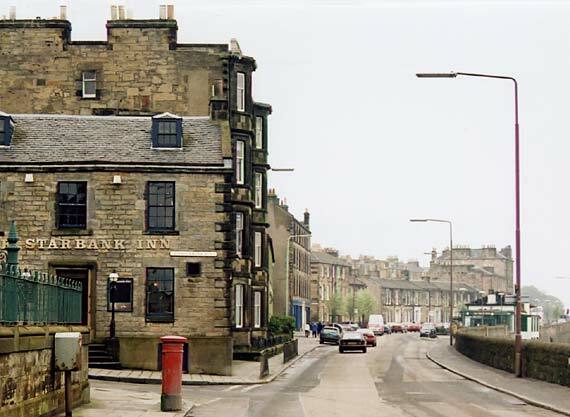 We also used to go to the Starbank Bar just along the road which we knew as Willie Scott's. Willie was a bit of a character himself. He was helped behind the bar by his son Stewart. In those days the public and lounge bars were separate and Willie was a little fussy as to who he did and didn't allow into the lounge. You always knew when summer had arrived though, as that was when the umbrellas were put up at the tables, inside the lounge! Another oddity in Willie's bar was the Scotsman pinned up on the wall of the gents each day!